In Japan, there are many people who study (not learn) English very hard. They're not even business people and travel lovers. When we ask them the reasons for learning English, they often answer "Well, because it's fun. It's a kind of hobby." A hobby? Why is English so popular language for Japanese people to learn? Probably it's because of social pressure to speak English and advertisings everywhere. Communicating in another language with people from another culture is fun for sure, so I understand why people want to learn a new language as a hobby. In fact, I also learn some other languages as my hobby. So it's probably "ok" to start learning English as a hobby for Japanese people because they'll like it as they enjoy it very much. However, in my opinion, they'll never get fluency in English on that way, as long as they learn it just as a hobby. What would be the solution for Japanese people to get fluency in English? Let's think about it. Every single person has her/his own answer. For me, the best way I found is like this as follows. 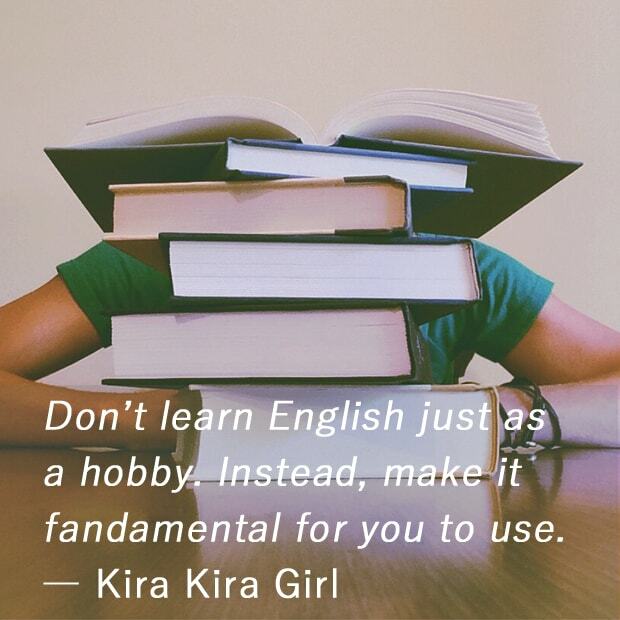 Rather than studying English just as a hobby, try to make it fundamental for you to use. These are the simple 5 steps I can recommend you to do. What do you think? Well, that's all for today's entry. If there are anything to comment please don't hesitate and say hello to me. Thank you for reading always. See you next time!